$10 OFF Instantly & a Free Bonus! On1 has just announced the all new Photo 10 (this version replaces Perfect Photo Suite 9.5) and as a new release bonus, if you order your full or upgrade version anytime between today and the end of the month, then you’ll not only save $10.00 but you’ll get a few free extras for free too. That includes an exclusive ON1 Photo 10 video course training by Matt Kloskowski (a $50.00 value), the Landscape Pro Preset Pack by Scott Davenport, and ON1 Loyalty Rewards Membership (which includes over 100 free presets and textures). No coupon code as the deal is applied automatically when you follow the above offer link. Oh, and keep in mind that this offer is only valid on orders made at on1.com. Offer expires on April 14, 2019! If you currently own Perfect Photo Suite 9, then you can qualify for the upgrade discount that saves you $60.00 off from the full-version retail price, costing you just $99.95 for the upgrade when moving to Photo 10. On top of that, there is a current special offer that will save you an extra $10.00 on top of that going on right now. This offer is only available to those that qualify to purchase at the upgrade price and only on orders made directly from the official on1.com store. You must own an upgradable onOne product. 30 days to try out any On1 app. If you haven’t tried the Perfect Photo Suite then you can download a free 30-day trial and test it out all of the new features for yourself. While the trial version is free, it will only work for 30 days starting from the date that you first install it. Afterwards it will require you to purchase and enter a license key for you to be able to continue using it. You will need to provide your name and email address to access the download file from ononesoftware.com. On1 Software Release Date Alerts! Is On1 Photo 11 coming soon? We're on the lookout for the latest On1 Photo 11 news and rumors. As it now stands, we currently expect to see On1 to release the new version sometime in late October, 2016. We invite you to join our release date newsletter if you would like to stay updated on this launch and join in on the discussion. What are some of the other plug-ins on sale? We’re also watching the latest deals from Topaz Labs. 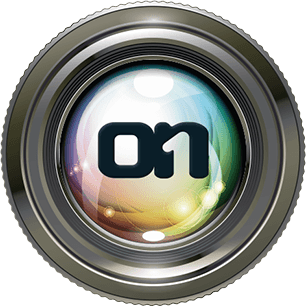 Similar to OnOne Software, they also carry an entire suite of plug-ins made to compliment your copy of Lightroom or Photoshop. 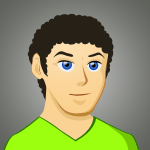 You can also use many of the versions as standalone software program for your specific photo editing needs. Be sure to compare what both companies have to offer and which one gives you the most for your money.